Lately, my days have really been stressful and busy. I'd have to accompany my Mom to physical therapy sessions thrice a week (not that I am complaining though), in between that I need to squeeze sometime for my beloved Kyle and help him in whatever schoolwork there is. 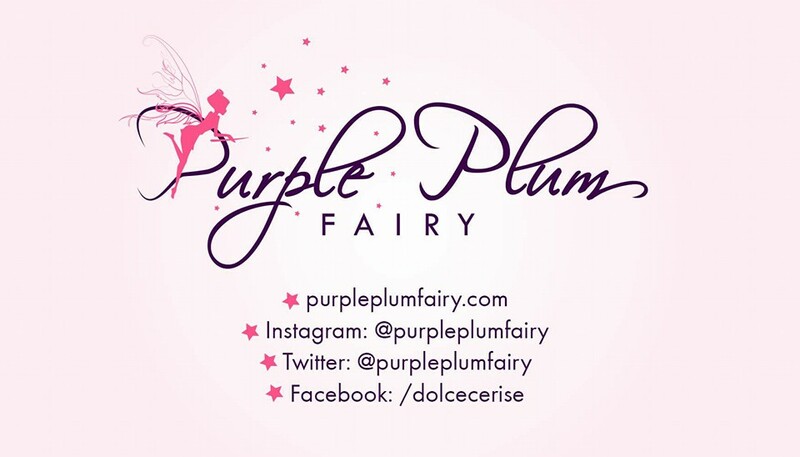 I also had to fix our stuff since our house currently undergoes a major renovation and do household chores such as washing the laundry on a daily basis, write articles for my blog and do my social media updates for my work. Whew! It's sometimes difficult to function well especially if you know you need time for yourself too. So when I was given the chance to have my precious "me-time" at Klinec Nail and Body Spa on a Friday, I didn't have to think twice, I nodded right away! 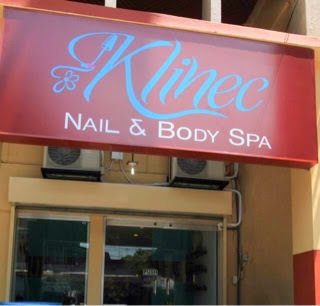 Klinec Nail and Body Spa is located at 24-D Kamuning Road, Quezon City. 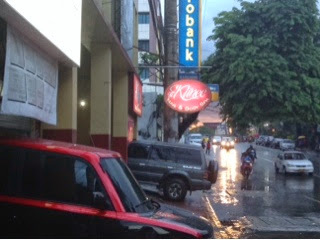 It's just a stone's throw away from Kamuning's Jesus Delgado Hospital. If you're not paying close attention, you might actually pass by Klinec without noticing it. The pink signage upfront may not exactly be the kind that attracts attention. But once you've found it, you'll be happy that you did. Klinec takes pride on having some of the best nail technicians as well as an array of nail colors and styles for your digits. From caviar to stick-ons, crackling to gel polish, stones, stamps, liners, sprinkles to nail foil--name it, they all seem to have it! If you think nail services are the only thing they offer, think again! Klinec Nail and Body Spa has more treatments/services to offer: they've got facial and slimming treatments as well as signature massages among many others. 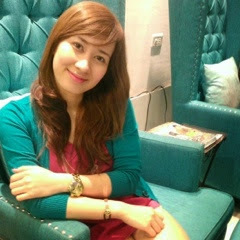 Owned and operated by 23 -year-old pretty lass, Jichelle Chua, who's a nursing graduate, Klinec Nail and Body Spa opened a year ago on that busy district of Kamuning Road. "They say when you start a business, it should be something you enjoy and you're passionate with. Since I love going to spa, I figured why don't I start making my own? So that's how it basically started," says Jichelle Chua. 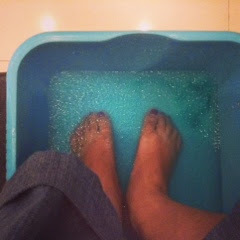 I had myself felt incredibly special and pampered with Klinec Nail and Body Spa's foot spa which made my feet soft, smooth and pinkish. If only it could talk, it could probably say thank you. I feel sorry for my feet, I believe that of all my body parts, my feet are overused and the most abused--imagine carrying my 200 lbs. body frame wherever it goes? My foot spa started with a warm soak followed by a jelly soak. The jelly soak's somewhat ticklish, but nevertheless very relaxing. A warm towel was put on my legs and feet. Then, there was some foot scrub, lathering of some mint infused wash, and foot massage. The said treatment ended up with some moisturizing lotion lathered all over my legs and feet. I also got to try Klinec Nail and Body Spa's Combination Massage. As the name implies it's basically a combination of Swedish and Shiatsu. Before the massage started, I was asked to remove my clothes and put on the towel skirt before lying face down on the massage bed. I liked their massage oils, it's not irritating to my olfactory nerves. The therapist (who trained with TESDA and will soon become DOH-licensed) kneaded out all of my lactic acids out of my system. She made sure to cover all my body's pressure-points and eased up my tired muscles. 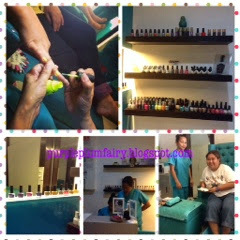 Then, to cap off my pampering treat, I had a manicure and pedicure done with massages. I chose Orly's Salmon Pink for my hand nails and Emerald Green for my tootsies. I would've originally wanted a French Manicure but I was told by the expert nail technician that I needed to let my nails grow longer if I wanted that effect. My nails are tad in size. But I've received compliments that although my nails are wee when it comes to their size, they are shaped like candles in appearance (just don't touch them, they are as rough as sandpapers!) Maybe next time I come back at Klinec Nail and Body Spa, I should try their hand paraffin treatment. I'll keep that in mind. In a nutshell, Klinec Nail and Body Spa is a perfect getaway. A spa tucked on that busy Kamuning district that will surely make you feel like a member of the royalty and will surely help ease out stress from work. Be a princess or a queen for a day when you come for pampering treatments at Klinec Nail and Body Spa. Your body or nails will surely thank you for it. 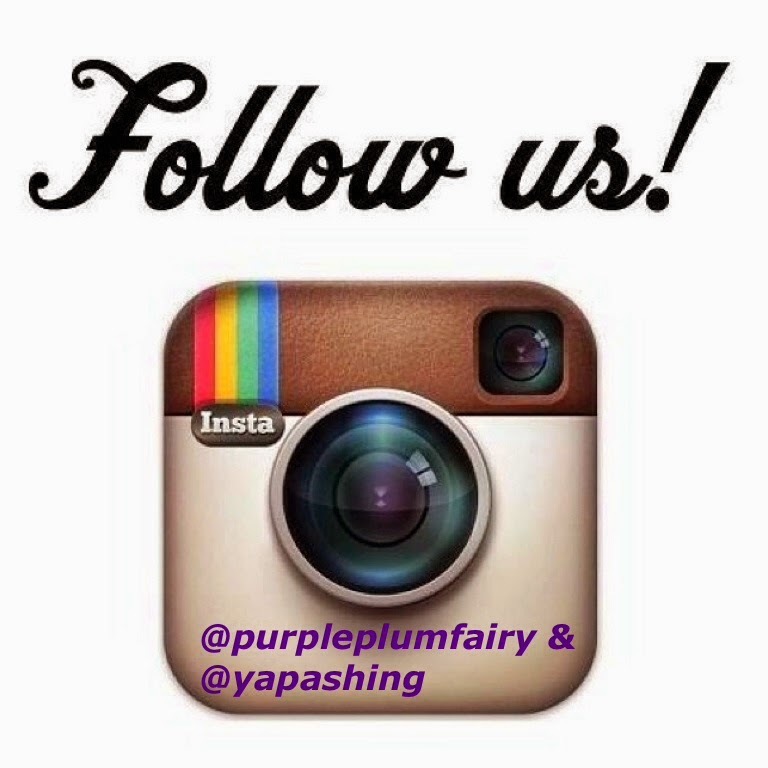 With a cozy ambiance, excellent service, amicable staff and affordable price, what more can you ask for? Special thanks to Ms. Balot and Ms. Leony. Disclaimer: I am not compensated for this post. Opinions expressed are 100% my own.